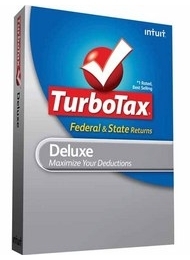 Turbo Tax: The Best Deals – Updated! I’m re-posting this because I’ve added the 15% Staples coupon which is available through Saturday, 1/30. It does make it lower then Amazon but keep in mind, at Staples, you may have to pay sales tax which would eat up that coupon. Here are the best deals on TurboTax I could come up with. These deals takes into consideration any instant rebates available through that particular retailer. Let us know if you find something better!